DA files murder charge in Sunday evening fatal traffic collision. Location: Central Ave; east of Blacow Rd. On March 17, 2019, at 6:17 p.m., officers were dispatched to an injury collision on Central Ave near Blacow Rd. Officers arrived to find a head-on collision between two vehicles, a mini-van and a Honda Civic. Multiple witnesses relayed that the driver of the mini-van (later identified as suspect Juan Martinez; 47-year-old man out of Newark, California) had fled the area on foot. Officers, Fire personnel and paramedics located two victims inside the Honda Civic. The driver of Honda, a 69-year-old male victim, was transported to the hospital via ambulance for injuries. The right front passenger of the vehicle, identified as 70-year-old female Erlinda Domingo of Newark, California, died at the scene as a result of the collision. Additional responding officers located Martinez hiding in the backyard of an address on Briarwood Dr. Martinez was identified as the male who had fled the suspect vehicle by multiple witnesses. Officers observed Martinez to show several objective signs of intoxication. Martinez performed a series of field sobriety tests. Based on the test, officers determined Martinez was under the influence of alcohol. Two Preliminary Alcohol Screening (PAS) tests were conducted on Martinez and both tests measured his BAC above the legal limit of .08%. Based upon the physical evidence and multiple witness accounts, the collision occurred after Martinez’s vehicle, traveling eastbound on Central Ave, crossed over the raised center median of Central Ave and entered into oncoming traffic in the westbound lanes where the victim vehicle was traveling. - DUI conviction in Hayward, California in 2015. Martinez pled no contest to VC 23152(b) and received 20 days in county jail and 3 years court probation. - DUI conviction in Newark, California in 2016. Martinez had been arrested by Newark PD after being involved in a DUI related crash and then fleeing the scene. 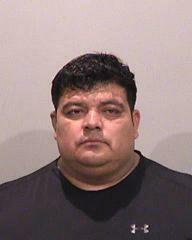 Martinez was later convicted of VC 23152(b) and received 10 days in county jail and 5 years court probation. Martinez was on probation for this offense at the time of this current DUI-related crime. "DUI Danger: I understand that being under the influence of alcohol or drugs or both impairs my ability to safely operate a motor vehicle. Therefore, it is extremely dangerous to human life to drive while under the influence of alcohol or drugs, or both. If I continue to drive while under the influence of alcohol or drugs, or both, and, as a result of that driving, someone is killed, I can be charged with murder (VC 23593)." Martinez signed those forms which had been retained within the court minutes. Martinez was arraigned on the above charges at the Fremont courthouse on March 19, 2019 at 2:00 pm.